If you’re at the point where you’re ready to get stonework done to your home, then congratulations! You’ve made a great decision that will not only improve the function of your home, but also really add to its overall aesthetic appeal. The next step however – is a little bit more complicated and that’s deciding on what kind of stone you want to use. If you live in a place where the winters get cold, then the chances are you’re going to want to choose a more dense stone. Granite, bluestone and quartzite are generally pretty good at withstanding harsh, cold environments. On the other hand, you’re probably best off avoiding more porus stones like limestone, sandstone, etc. While they certainly look great, they’re also highly susceptible to water absortion, which leaves them highly vulnerable to cracking. While choosing a stone that fits the ‘function’ part of the equation (choosing stone based on temperature), style is certainly the ‘form’ component. Always choose a stone that goes with the architectural style of your home. The clean, sharp lines of modular and geometric-shaped stones make them a great choice for more modern contemporary homes. On the other hand – bricks and cut stone block (AKA Ashlar) – look better for traditional homes. If you live in the country, you might want to go for a more rustic look – so browse through your irregular stones so that they can add to the character of your home. Just remember – choosing the right stone can really enhance the appeal of you home just as much as choosing the wrong kind of stone can make it look silly. Be smart and consult your mason. They’ll be glad to help. OK so we lied a bit – we’re not totally done with the ‘function’ part. Why? Because the ‘function’ part of the equation is more than simply whether or not the stone will crack – it’s also about how you plan on using it. Will you use it for a path or walkway? Or are you looking for more decorate material to help your garden or lawn pop? 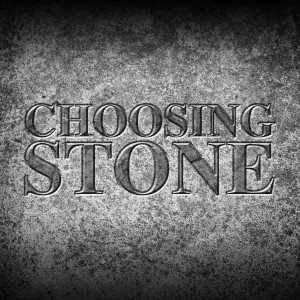 Believe it or not, choosing the right stone in this case isn’t all that hard. Chose smoother stones for walking on that fit in tightly with each other so as to avoid any areas where you could stub your toes or hurt your feet walking on it. Conversely, look for unique cobblestones to help line a path and/or garden. They’re irregular, but they’ll really add character to your garden and lawn.